How did it start? And when? I’m really not sure. It was the early seventies, the very early seventies. I would guess sometime in 1972. A small kid with the universal dream of becoming a professional footballer in England chose Arsenal as his favorite team. Don’t know that for sure, either. Maybe because my best friend at the time was an Arsenal fan (or became one at the same time I did). Maybe it was the shirts – for sure the coolest and best-looking strip in the English 1st Division. Was The Double in 1970/71 part of the reason? I don’t think so. It was probably the red shirts with the white sleeves and the cool cannon that clinched it. Plus Charlie George, as cool as they came. 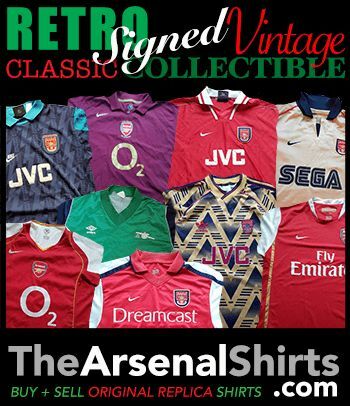 Which means I was a young boy coming of age, supporting The Arsenal through the seventies and eighties. That was rough sailing. Back then, being an Arsenal supporter (or supporter of any English team in the north of Norway) was hard work. Norway’s only TV channel, NRK, Norway’s BBC (well, not really), showed a handful (10-15) of games throughout the worst winter months. News from England about your favorite team was hard to come by. Twitter was still a few years away. Our only TV channel treated English football in a random manner. At worst it could actually take 2-3 days to get to know the score from last Saturday’s match (if we weren’t able to tune into BBC on the radio on Saturday afternoon). Now, if there is a slight delay in the transmission – or if I am watching on a lagging stream – I can learn on Twitter about a goal being scored a few (milli-)seconds before I actually get to see it. I could give you loads of descriptions of how terrible life was for an «arctic» Arsenal supporter – or for anyone – back then, and up here. Imagine wanting to run outside to emulate my heroes’ achivements, only to be met by black darkness in the middle of the day, and a couple of meters of snow…for months and months. Anyway, the worst problem with being a sub-arctic Arsenal supporter in the seventies was – obviously – the results. To jump ahead: After The Magic Night at Anfield in May 1989, my level of support, or should I say willingness to spend time following the Arsenal, waned. I was/am not a fan of the Graham era. Sorry. I like my football like I (used to) like my drinks: Plentyful. I’d rather see Arsenal win 5-4 than 1-0. Oh yeah, I quickly became an AKB. Still is, will always be. Probably annoying and naive, but there it is. I am not one to change my mind easily. With Arsène football became fun again. Arsenal became fun again. Exciting. Thrilling. Still, it would take another almost 10 years until I went to Highbury for the first – and only – time (going to London, spending a night or two in a hotel, paying for tickets – it sets you back a few quid). It was Arsenal vs. Juventus in the Champions League on a fantastic London night in March of 2006. The night Cesc really came of age, leaving mentor Vieira on his arse, and scoring a goal. The night Pirès made a tackle. And the feeling of floating above the North Bank when Henry scored his magic goal, putting Arsenal 2-0 up…I am a big and very tough man, but a few tears escaped my eyes then. Nah, it was the wind and the chill, of course it was. And I was bitten – my visit to Highbury gave me The Sickness, and I have been to The New Home of Football several times, soaking up the feeling of London, North London, The Arsenal. I hope to be back soon – actually just a few days ago my Arsenal supporting wife made the point that it is too long since we went to see The Arsenal. Lucky man, huh? Both an Arsenal supporter and married to a girl who enjoys going to the games (almost) as much as me. Now all that is missing is a trophy. This entry was posted in Arsenal and tagged Arsenal, Arsenal FC, BBC, Charlie George, England, London, Saturday, She Wore, She Wore A Yellow Ribbon, Twitter on January 8, 2014 by keenosafc.